Shakti Arora is also contesting these days for Nach Baliye 7 with his real life love Neha Saxena as organized by Star Plus. 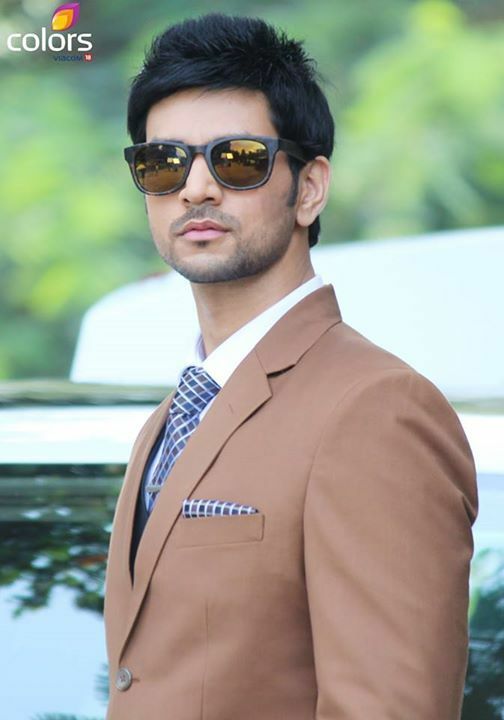 The beau was introduced by Ishaani ( Radhika Madaan ) of TV serial Meri Aashiqui Tum Se Hi. He is an immensely talented TV actor known for the character of Jigar in Baa Bahoo Aur Baby and Dr. Onir Dutt in Pavitra Rishta. He also played the character of Taposh in Tere Liye and can also be seen currently in serial Meri Aashiqui Tumse Hi where is playing the character of Ranveer ( RV ). He is also a trained tarot card reader. Shakti was born on 16th May 1986 in Mumbai ( Maharashtra, India ). He is from the descent of Chandrashekhar, the prolific Indian actor of Bollywood film industry and was active during 50's. He had done almost 112 films at that time and retired from Bollywood in 2000 after the film Khauff. Shakti initiated his career with a role Baa Bahoo Aur Baby where he played the character of Jigar Arvind Thakkar. He then cast for a cameo in serial Left Right Left as Kamran. After these roles, he was also seen in some more serials like Tere Liye ( Star Plus ), Agle Janam Mohe Bitiya Hi Kijo ( Zee TV ), Pavitra Rishtey ( Zee TV ) and MTV India Webbed show as Kavish Mehra. He is very popular these days, especially among girls. Shakti Arora is engaged with Neha Saxena and dating her since 2010. As per the sources, they have already been married secretly in 2014. They fallen in love with each other on sets of Tere Liye. Shakti says that her cooking skills made him crazy to fall in love with her. They can marry officially at any time. Their parents are also agreed for same.